One Source to Save on All Your Home Services! She saved over $800 per year by switching internet, TV, and security to another top provider. We handled everything with one call and the installation was done by local, insured technicians. Hi! 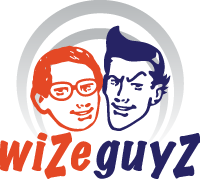 I would highly recommend Wize Guyz. Saved me a lot of money! We have helped over 15,000 upstate home owners like you! TV, internet, phone, security... all of these services add up to a large bill for most homeowners. We can provide a complete quote for every major provide at your address in one call! Save money without spending hours listening to sales pitches from dozens of providers. Whether your home is brand new or 50 years old, our modern systems make everything simple! "Simple, easy, whatever word you want to use, I got my services switched in about 20 minutes. Will have $734 more to spend on other stuff now!" "Wasn't sure about using one company to try and get everything for my new home. But best decision could have made. When move in day came, TV, internet, and the security system were ready and waiting for us"